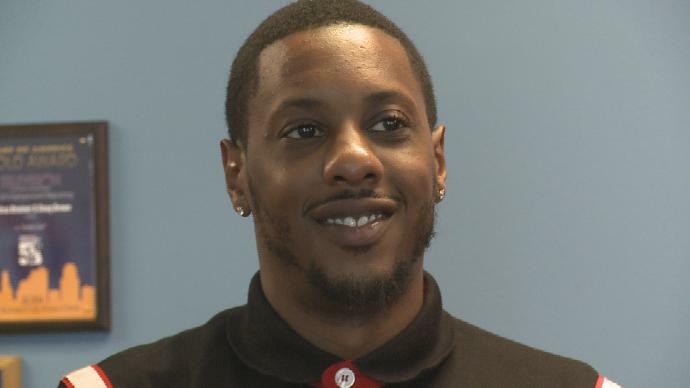 TOPEKA, Kan. (WIBW) – While Mario Chalmers tries to prolong his professional basketball career, he came back to the state where his collegiate career will always be remembered. The former Jayhawk guard and current NBA free agent was in Topeka on Tuesday to sign copies of his new book, “Mario Chalmers’ ABCs of Basketball, Dream Big. Think Big. Play Big,” at Barnes & Noble. And of course, he gets asked about his unforgettable game-tying three to force overtime in Kansas’ 2008 national title victory. Of course, the fans in his last NBA stop didn’t find it so humorous. Chalmers played for the Memphis Grizzlies and often heard about that shot from fans of the opposing team in that national title game: the Memphis Tigers. After 646 NBA games, the now 32-year-old believes he’s feeling better than he has in a while. Last season, Chalmers averaged 7.7 points and three assists per game while playing an average of 21.5 minutes for the Grizzlies. He shot about 38 percent from the field, which was the second lowest mark of his pro career.